This is so lovely Swarna.. What a great way to share your love for quilling with your daughter. She's done a neat job, which is really tough! Thank you for joining us at IQCG this month. Love, Ishani. Wow.. 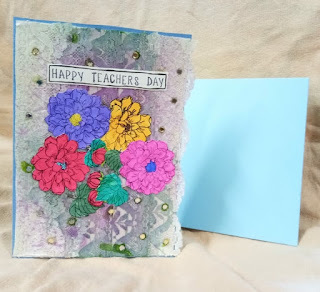 Very pretty work by your daughter Swarns.. Lovw the pink flower.. 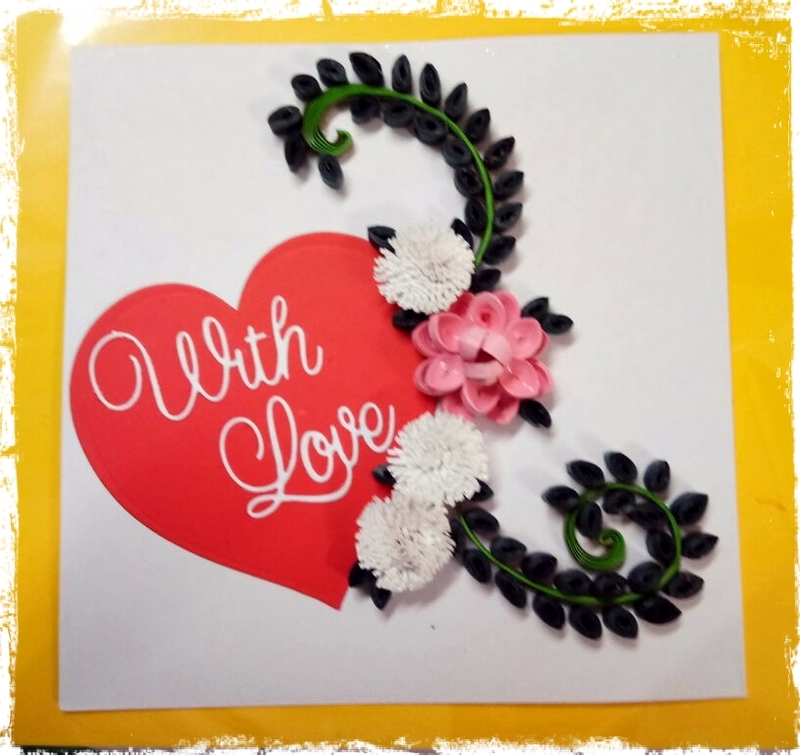 Thank you for joining us at Indian Quilling Challenge.. Hope to see you again..
Beautiful card and i loved the curly leaves. Happy to not that you helped vibha on this swarna. 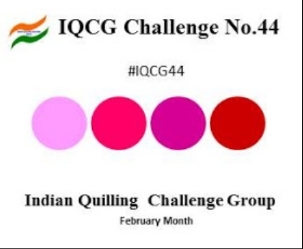 Good Luck.Thanks for playing along with us at Indian Quilling Challenge. Hope to see you again. Thanks all for appreciating our work.